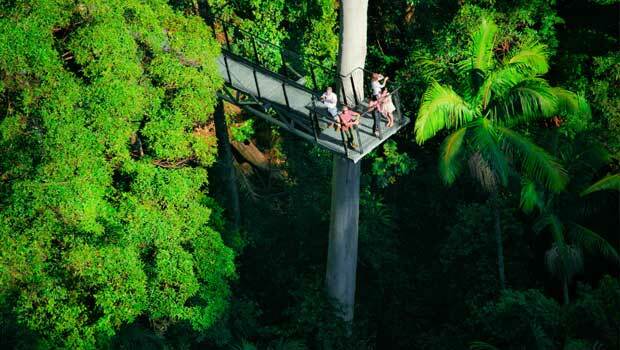 Stretched along the 56 km long startling golden coastline and home to about 536,000 residents, the Gold Coast city is world renowned for its steamy blend of sun, sand, surf and lush hinterland activities. A perfect cocktail of natural beauty, ideal location and relaxed lifestyle, without a doubt, the Gold Coast is among the most unique and sought after tourism destination of the world, flocked by millions of visitors all around the calendar year! The 6th biggest city in Australia and the country’s largest non-capital city, it is one of the best places in the whole wide world to learn surfing. 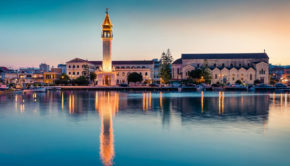 Besides surfing this one of a kind city has so much to offer to its visitors – including beachfront walkways, exhilarating theme-parks, shopping precincts and soothing restaurants serving mouthwatering culinary. The Gold Coast City’s appeals are quite diverse and multihued in nature. It’s like an epicenter of magnetism, leisure, amusement and it gladly facilitates all its services to each of her visitors as well as residents evenly! Well nobody can deny the fact that this untamed and careless revelry zone pulls an unparalleled count of visitors each day – a whopping figure of 20,000! Party animals visit this paradise for an invigorating dose of bars, clubs as well as malls and a little beach-time as the hangover gets triggered. 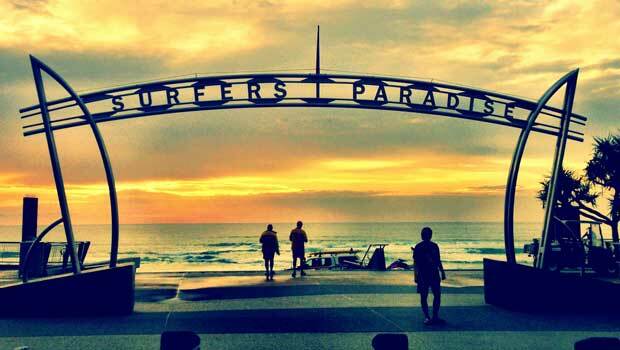 Surfer Paradise is a hot place with plenty of shirtless as well as tattooed hikers. The place is lined up with high-quality cafes, trendy shops, fashionable restaurants as well as a stunning stretch of golden coastline. Renowned as a hiker’s wonderland, Spring-brook National Park possess outstanding trails via cool-temperate, eucalypt and subtropical forests which also offers a medley of cliffs, gorges and splendid waterfalls. The National Park is segregated into 4 segments. The thousand plus meters towering Spring-brook Plateau segment is home to the Spring-brook Township which in turn welcomes most of the tourists. The place is full of trails, waterfalls and jaw dropping backdrops. The picturesque Natural Bridge segment possess one km walking trail which leads to a massive rock-arch straddling a cave (water-formed) which houses several gleaming glow-worm colonies. The Mt Cougal segment possesses numerous swimming holes as well as waterfalls and the Numinbah segment if full of dense lush green forest. 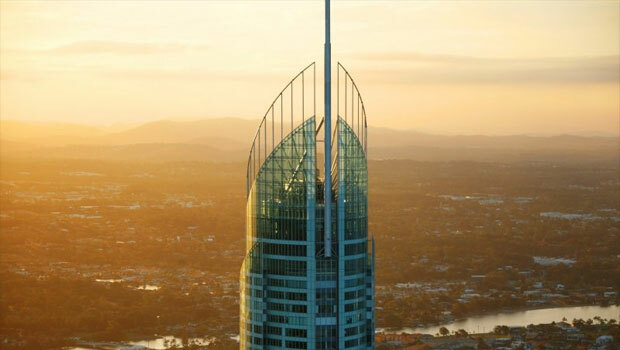 Positioned on the 77th floor of Australia’s highest building resort, the Q1-Tower in Surfers-Paradise, the Sky-Point Observation Deck provides unparalleled Gold Coast sights revealing city’s peerless beauty. Take a trip from ground to 77th level in just about 40 seconds and step right into the 360 degree podium where you can capture all the stunning sights of the hinterland, beaches as well as the skyline from the height of about 225 plus meters. Relish delicious breakfast, lunch as well as dinner at the Sky-Point’s ‘Seventy 7 Café and Bar’. And by night time, this Observation-Deck becomes a towering lounge-bar with festive music each Fridays as well as Saturdays from 8pm till late. The largest residue of subtropical rainforest in Australia envelops the steep cliffs as well as the deep valleys of the McPherson-Range. 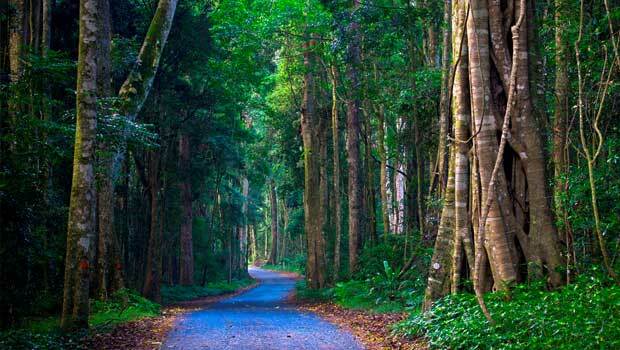 The 200 sq km World Heritage listed Lamington National Park site, has over 150 plus km of walking-trails. The 2 most reachable segments of the park are the Green Mountains as well as the Binna Burra segments. 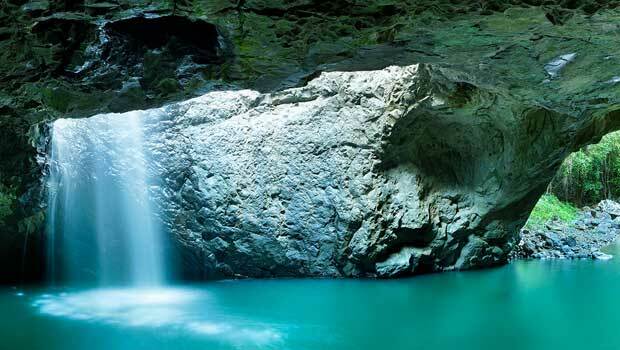 Both could be reached via narrow, long, zigzag pathways from Canungra. Binna Burra can even be reached from Nerang. 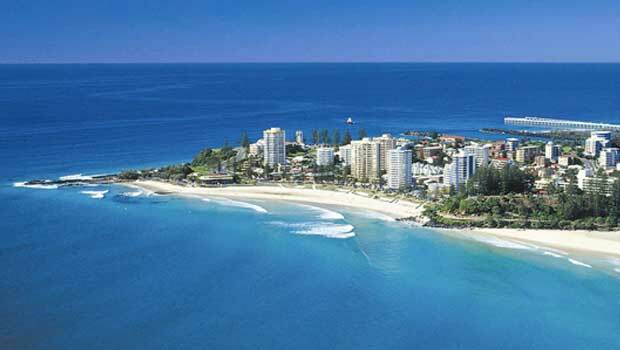 Coolangatta is a calm seaside-town on the southern border of Queensland and possess quality beaches to surf and a close-knit neighborhood. The renowned ‘Coolangatta Gold surf lifesaving’ contest takes places each October of the calendar year. Just track the north walkway around Kirra Point up to the Kirra suburb along with a gorgeous long-stretch beach and tough surf. 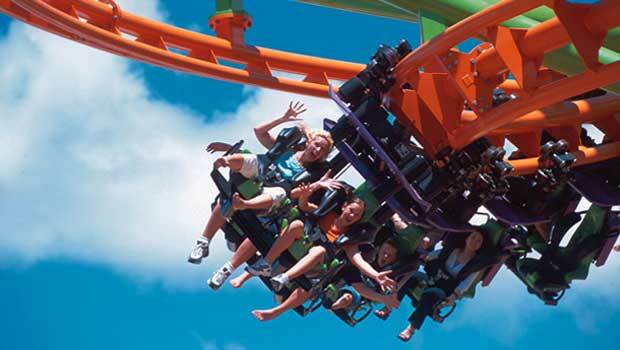 Dreamworld is country’s biggest Theme-Park. Visitors can enjoy in excess of forty rides which include the famed Tail-spin, Big-9-Thrill-Rides as well as the Wiggles-World plus the entertaining live shows, a swarm of characters, 500 plus Australian native animals – there is so much for all the visitors at Dreamworld! Enjoy the worlds of your beloved animated-characters here which include the Madagascar jungle, Shrek’s medieval world or Land of Awesomeness (Kung fu Panda). In the Dreamworld-Corroboree, the visitors can embrace a koala, stroke a kangaroo as well as feed a crocodile! 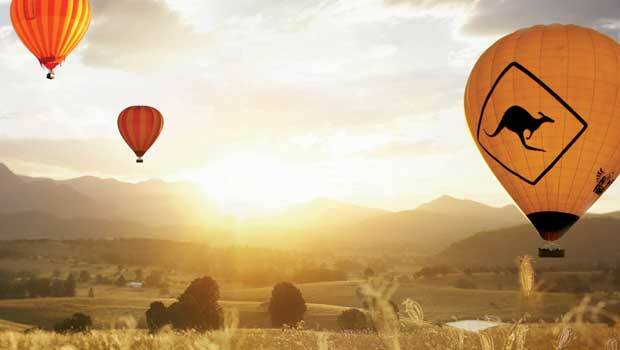 Enjoy a different sunrise while floating over the hinterland in a hot air-balloon. Just breathe-in fresh air in the wide-open horizon and be astonished at the colorful display of numerous balloons floating against the daybreak sky which is always surprising and definitely impressive. And after landing back to the earth, relish a jovial breakfast with champagne at the Boutique-Vineyard and O’Reilly’s-Grand-Homestead. Now the Hot Air-ballooning with Champagne breakfast is greatly recommended and that’s the reason why it’s country’s most admired balloon outing. A four-wheeled drive (4WD) will tour you around the unique pioneer’s pathway up the Tamborine Mountain just along the hill-side tracks and right through the rainforest. Sip an appetizing morning tea with jam, scones and cream at the ‘Gallery Walk’ and just browse through all the souvenir shops. Conduct a guided walk right through the lush green rainforest and learn about the ancient Aboriginal culture and history. Watch the scenic waterfalls, wonder at the towering trees and listen to the musical notes of the native birds. Relish a barbecue-lunch at the Spring-Valley; take a dip in the nearest rock ponds and learn how to fling a boomerang. And while descending the mountain, enjoy a glance at the stunning valleys and mountain views. Trek through lush fields and watch grazing Kangaroos. A half day Kayak tour around Gold Coast includes rowing towards Southern Stradbroke Island and watching whales and dolphins. Pay a visit to the quiet islands, relish breakfast resting on the sands and enjoy snorkeling along with the tropical fishes. 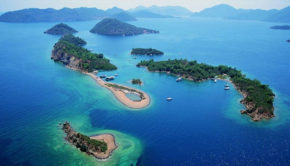 This tour comes with training snorkeling and kayaking for the 1st timers as well as an interactive chat, regarding the islands as well as their environment, with the friendly tour-guides. 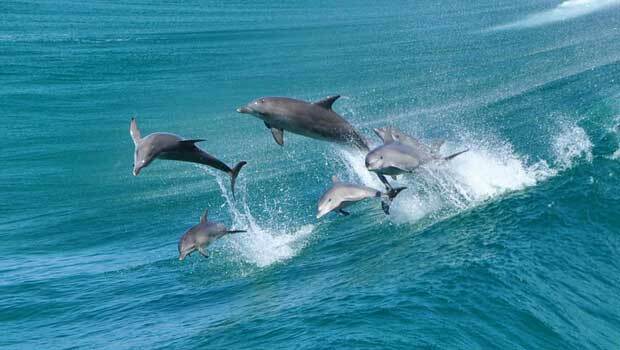 There are countless things to do in the Gold Coast and once you reach here you won’t feel like going back home early. 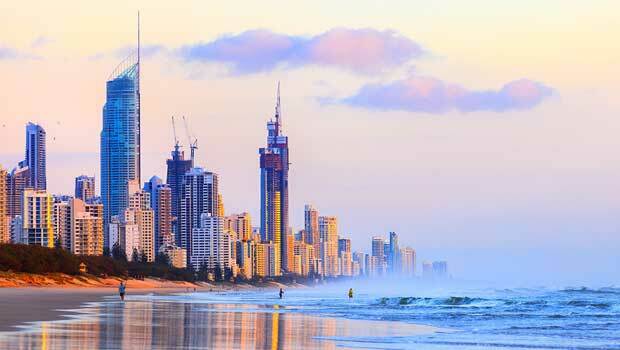 Do include a trip to the Gold Coast city in your places-to-visit wish list whenever you’re visiting Down-Under! 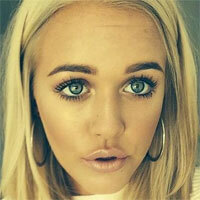 Lisa Coffey Lisa Coffey was born in 1996 in Hunting Beach, Ca. She has sufficient experience in handling luxury resort business. She is an avid reader and loves to write. 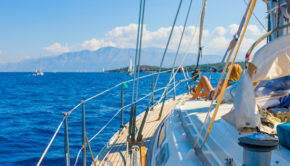 She also writes for numerous travel magazines and presently is associated with TrekEffect. She has been devoted to quality and garnered a reputation among her peers as a leading trouble-shooter in the hotel industry.